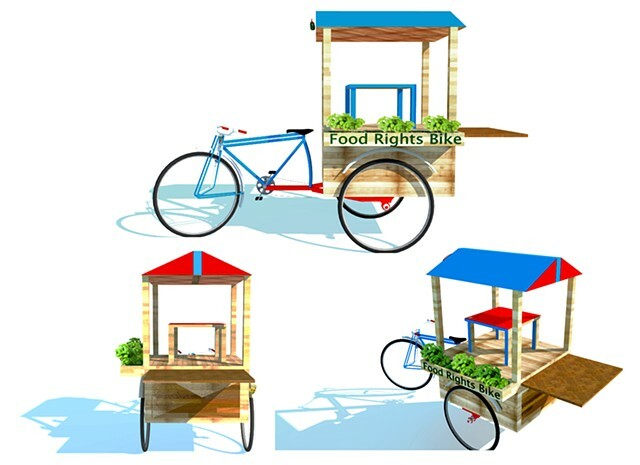 Food Rights Bike is a repurposed bicycle rickshaw that was transformed it into a mobile sculpture for food distribution and education. 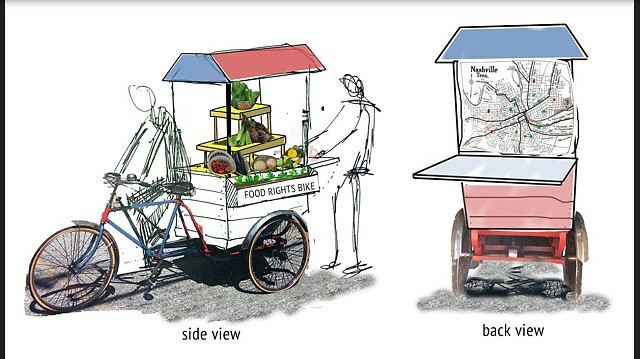 The rickshaw passenger seat has been replaced with a farm stand for growing and carrying fresh produce. 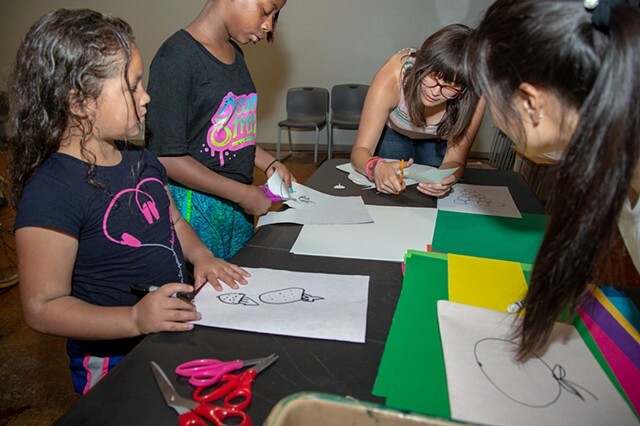 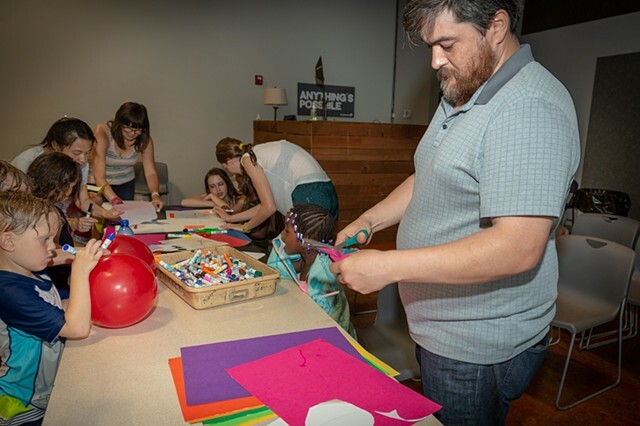 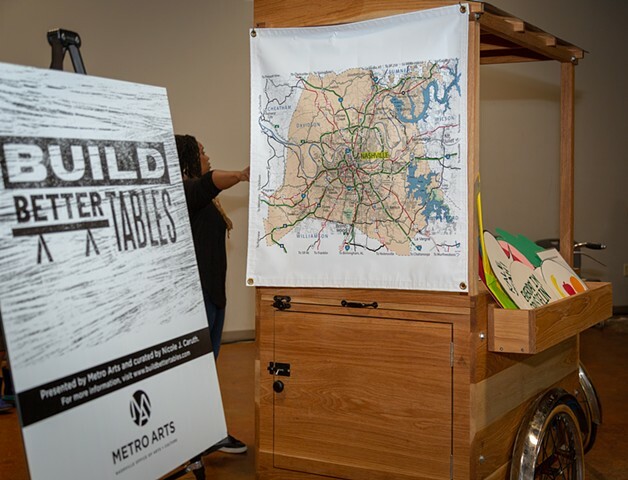 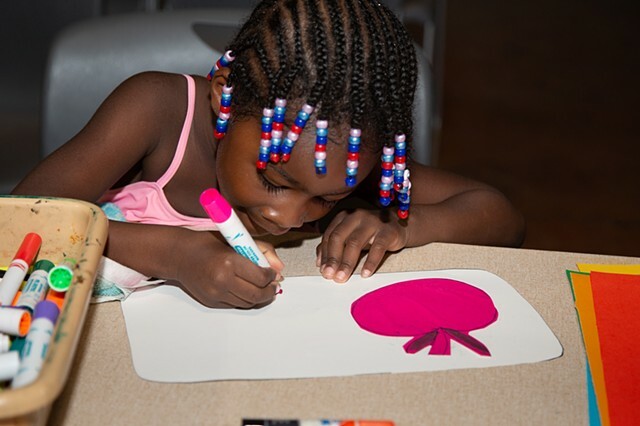 With a built-in, pull-out table, the sculpture also functions as an urban-garden workstation, a platform for cooking demonstrations or art and gardening workshops, and an iconic information hub at community events. 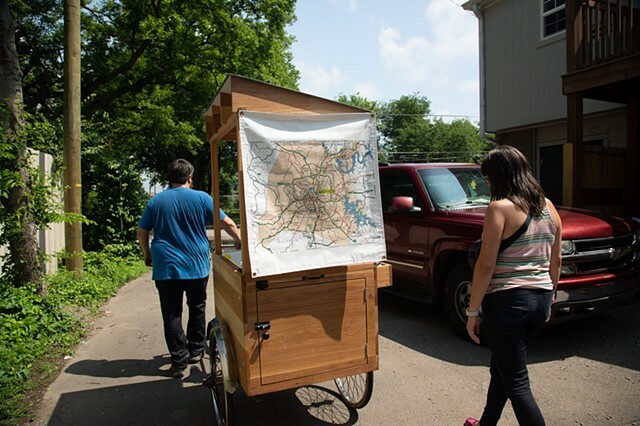 The back of the sculpture features a canvas map of Nashville, to aid conversations about where food is located and who can reach it. 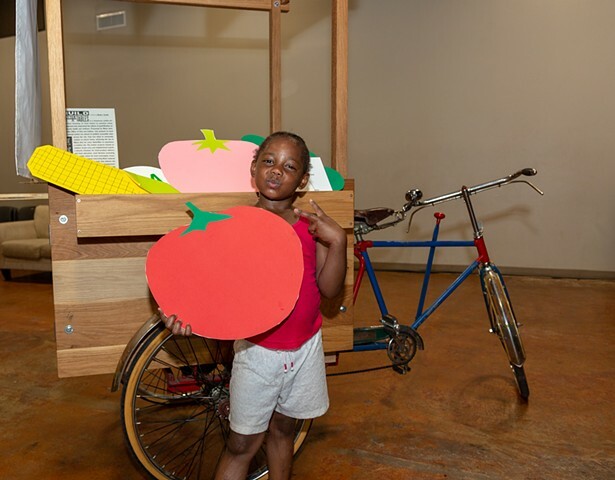 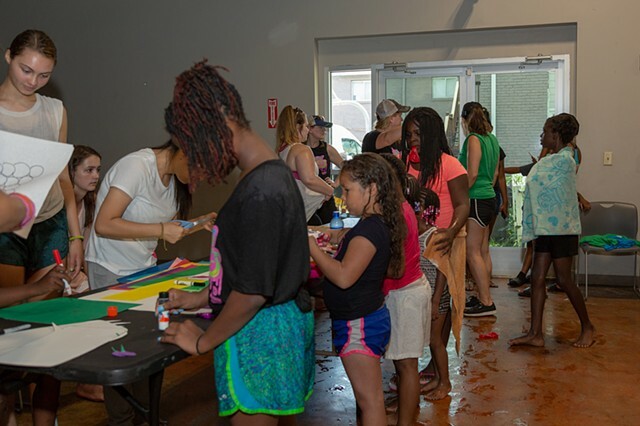 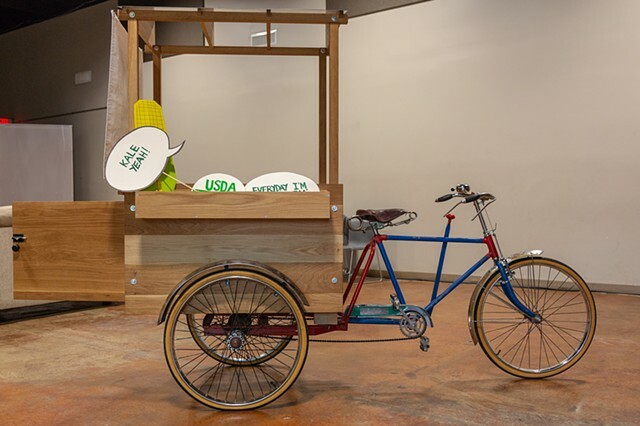 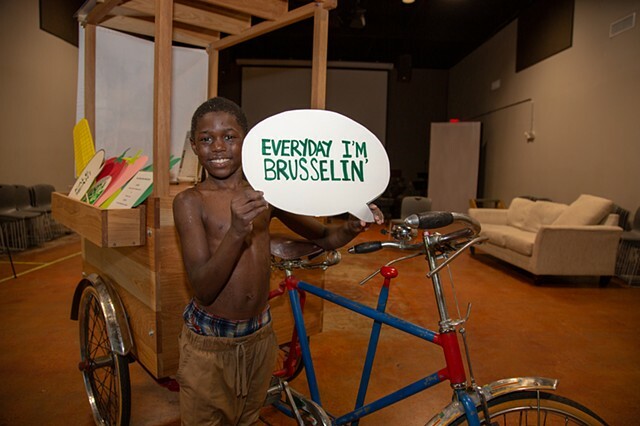 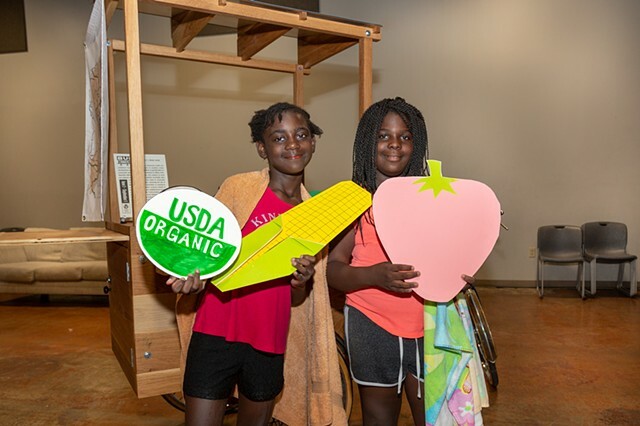 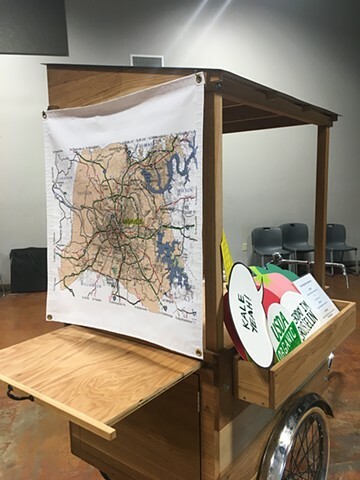 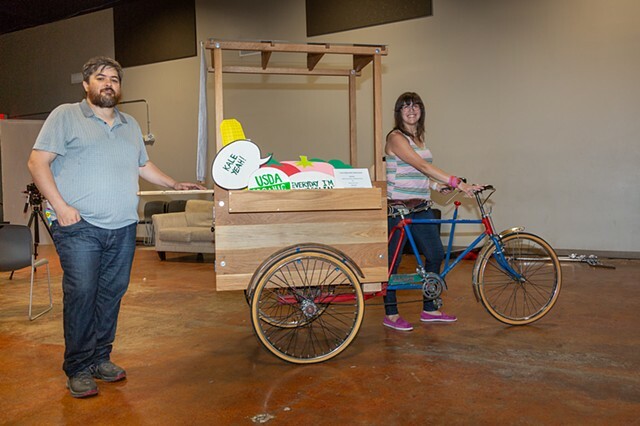 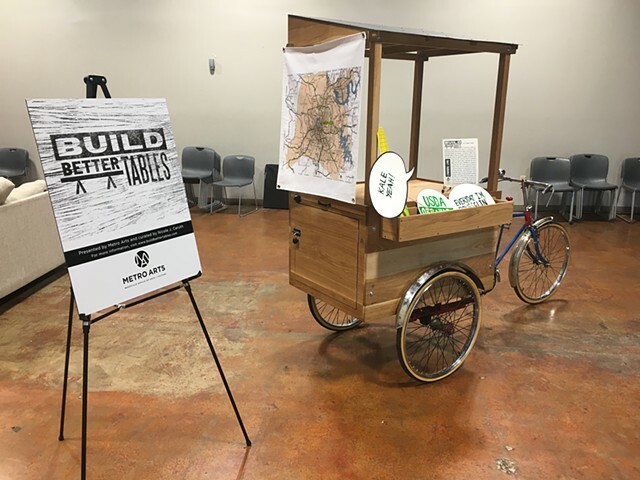 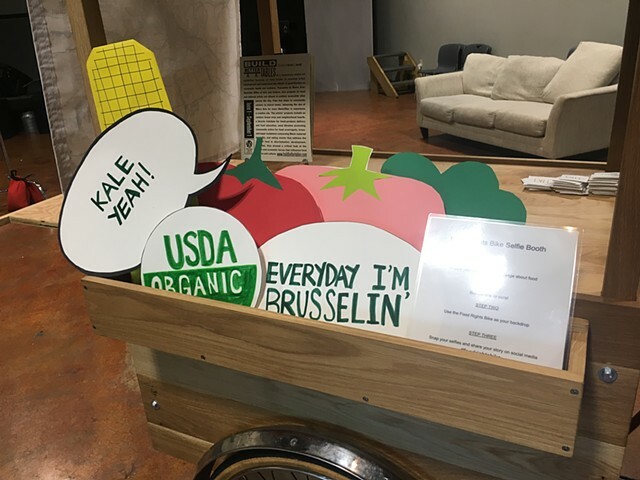 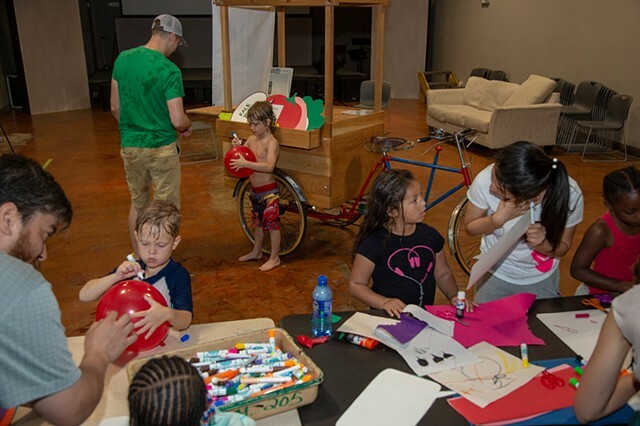 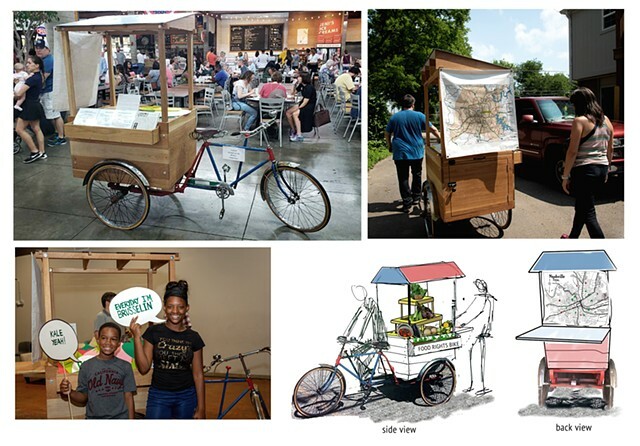 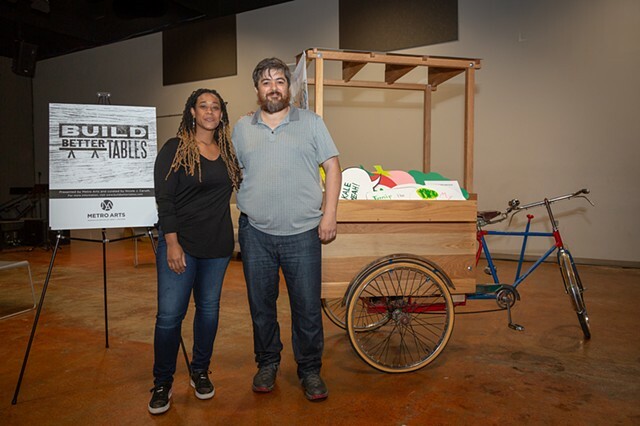 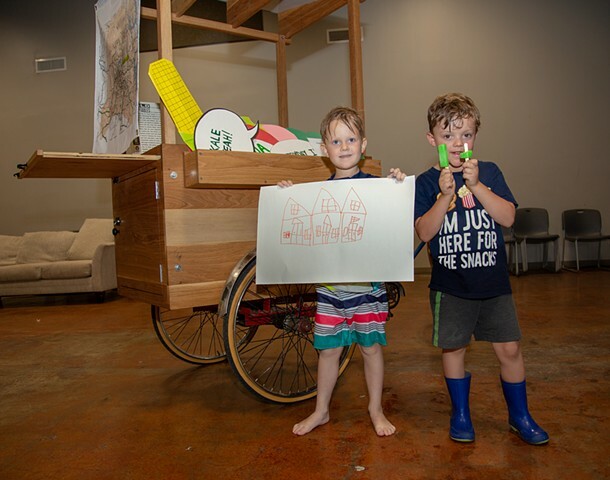 Designed to be used by an organization invested in food justice, this summer the Food Rights Bike is on loan to the West Nashville Dream Center, where it will support and amplify the food supplementation programs.